Distt-Jorhat-785008. Srimanta Sankaradeva University of Health Sciences Guwahati-781032 Govt 50 B.H.M.S. 2 1* Assam Govt. Homoeopathic Medical College and Hospital, Mull Singh Road, Lakhinagar P.O. Haibergaon, Dist. Nagaon-782 002. 50 B.H.M.S. 3 1* Swahid Jadav Nath Govt. Homoeopathic Medical College, Vill. Bagharbari, P.O. Khanapara, Guwahati-781037 50 B.H.M.S. 5. Dr. Gururaju Govt. Homoeopathic Medical College, Gudivada, Krishna Distt.-521 301. 40 B.H.M.S. 6 Govt. Homoeopathic Medical College, Ravindra Nagar Post, Cuddapah-516 003. 30 B.H.M.S. 7. Dr. Allu Ramalingaiha Govt. Homoeopathic Medical College, D.No.26-1-11, Near ‘Y’ Junction, Rajahmundry-533 105. East Godavari Distt. 50 B.H.M.S. 8. 4* Maharajah’s Institute of Homoeopathy Sciences, At Nellimarla, Vizianagaram (A.P.) Private 50 B.H.M.S. 9. 3* Devs Homoeopathic Medical College and Hospital, at Devanagar, Ankireddy palli, Kesara Mandal-501-301, R. R. District, Andhra Pradesh. 50 B.H.M.S. 10 North East Homoeopathic Medical College & Hospital, Vivek Vihar, P.O.R.K. Mission, Itanagar, Arunachal Pradesh. Rajiv Gandhi University,Rono Hills, Doimukh Itanagar Private 50 B.H.M.S. Bihar University, Muzaffarpur Govt. 80 B.H.M.S. 12 Dr. Rambalak Singh Gaya Homoeopathic Medical College & Hospital, Amwa, Bodh Gaya, GAYA – 824231 (Bihar). Private 50 B.H.M.S. 1* Earlier recognized for DHMS Course. 2* Central Government allowed for 2007-2008; and for the session 2009-2010 onwards (with 50 intake) to admit the students in 1st BHMS Course in three Homoeopathic Medical Colleges in the State of Assam. 3* Central Government allowed from the session 2010-11 to admit the students in Ist BHMS course (with 50 intake capacity). 4* Central Govt. allowed for BHMS Course w.e.f. 2007-08 onwards. 5* Central Govt. allowed for M.D.(Hom.) Course w.e.f. 2010-11. Bihar University, Muzaffarpur Private 50 B.H.M.S. 14 The Temple of Hahnemann Homoeopathic Medical College, Munger-811 201 50 B.H.M.S. P.O. Laheria Sarai-846001 Bihar. 50 B.H.M.S. 16 Patna Homoeopathic Medical College and Hospital, Ram Krishan Nagar, (Sorangpur), Patna. 50 B.H.M.S. 17 Sinha Homoeopathic Medical College and Hospital, Laharisarai, Darbhanga. 50 B.H.M.S. 18 Maharshi Menhi Homoeopathic Medical College and Hospital, Katihar. 50 B.H.M.S. 19 Mangla Kamla Homoeopathic Medical College & Hospital, Prof. Vishnu Kumar Marg, Srinagar, Siwan-841226. 50 B.H.M.S. 20 R.D. Kedia Homoeopathic Medical College & Hospital, post office Hanuman Sugar Mills Bariyapur, Motihari, East Champaran, Bihar 50 B.H.M.S. 22 K.N.H. Medical College & Hospital, Bhagalpur, Bihar 50 B.H.M.S. 23 3* Muzaffarpur Homoeopathic Medical College, Raghu Nath Pandey Nagar, MIC Bela, Muzaffarpur (Bihar) 50 B.H.M.S. 24 Kent Homoeopathic Medical College and Hospital At & P.O. Khilwat (via-Bidupur Bazar) Hajipur, District Vaishali-844516 50 B.H.M.S. 25 3* Homoeopathic Medical College and Hospital, M-671, Sector 26, U.T. Chandigarh-160 019. Panjab University, Chandigarh 50 B.H.M.S. 1* Had been under Rajasthan Vidyapeeth Deemed University, Udaipur till 2005-06 for BHMS Direct and Graded & M.D. (Hom) courses. 2* Earlier conducting DHMS Diploma Course/BHMS Course under C.H.S.M., Punjab. 3* Recognized by Govt. of India from 2005-2006. Raipur-492 001. AYUSH and Health Sciences University of Chhatisgarh, GE Road, Raipur (C.G.) Private 50 B.H.M.S. New Rajendra Nagar, Raipur. 50 B.H.M.S. 28 Chhadamilal Chouksey (C.L. )Homoeopathic Medical College and Hospital, Lal Khadan Masturi Road, Bilaspur. 100 B.H.M.S. 30 1* Dr. B.R. Sur Homoeopathic Medical College and Hospital, Near Nanakpura Gurudwara (Ring Road), Moti Bagh-II, New Delhi-110 021. Guru Gobind Singh Indraprastha University, Delhi-110075 Govt. 31 Kamaxi Devi Homoeopathic Medical College, Hill Top,Shiroda, Goa-403103. Goa University, Teleigao Plateau, Goa Private 50 B.H.M.S. 34 Smt. A.J. Savla Homoeopathic Medical College and Research Institute, Venu Sadma, Near Municipal Ground, Hydery Chowk, Mehsana-384 001. Hemchandracharya North Gujarat University, Patan 100 B.H.M.S. 36 5* Shri Shamlaji Homoeopathic Medical College and Research Institute, Godhra, Near Moon Light Cinema, Godhra-389 001. 100 B.H.M.S. 1* Earlier it was under B.H.S., Delhi and was recognized from 1988 to 1994 for B.H.M.S. Degree Course. Now recognized for onwards from 2001-02. 2* Permitted for M.D. (Hom.) Course from session 2000-01 onwards only in three subjects. 3* Central Govt. vide its letter No.R.13040/34/2007-HD(Tech) dated 01.03.2011 decided to stop admission during 2011-2012. 4* Permitted for M.D.(Hom.) from 2001-02. 5* Earlier recognized for Graded Degree Course. 6* Permitted for M.D. (Hom.) Course for two subjects from session 2008-2009 by Central Govt. 7* Permitted for M.D. (Hom) Courses in three subjects from session 2006-2007. 38 Gujarat Homoeopathic Medical College At & P.O. Savli-391 770, Dist. Vadodara. Saurashtra University, University Road, Rajkot-360 005 (Gujarat). 100 B.H.M.S. 39 Jawaharlal Nehru Homoeopathic Medical College, C/o Parul Educational Complex, Post-Limbda, Tal-Waghodia, Dist.- Vadodara-391760 100 B.H.M.S. 40 Rajkot Homoeopathic medical College, Jainath Petrol Pump, Gondal Road, Rajkot. 100 B.H.M.S. 41 Samarpan Charitable and Educational Medical & Research Trust’s Shri Bachubhai Alabhai Danger Homoeopathic Medical College, Opp. I.O.C. Depot, Jamnagar Road, Rajkot-360 006 100 B.H.M.S. 42 1* C.D. Pachchigar Homoeopathic Medical College, Near Anand Mangal Society, Bhatar Road, Majura, Surat-395 001. Veer Narmad South Gujarat University, Surat-395 007 75 B.H.M.S. 43 Shree Chotalal Nagindas Kothari Homoeopathic Medical College and Research Centre, Near Van Chetna, Kakrapar Bye Pass, Tadkuva, Vyara, Dist. Surat-394 650. 100 B.H.M.S. 44 Pioneer Homoeopathic Medical College Pioneer Medical Campus, Near American School of Baroda, AT & P.O. :- Sayajipura Village, Near National Highway No:-8, Ajwa Cross Road, Vadodra – 390019 (Erstwhile M.S. Pathak Homoeopathic Medical College,]. 100 B.H.M.S. 45 Shree Mahalaxmi Mahila Homoeopathic Medical College, (Shree Shamlaji Arogya Seva Trust), Beside Gujarat Tractors Nr. Vishwamitri Bridge, Munjanaluda Lalbag Road, Vadodara. Maharaja Krishna Kumar Singhji Bhavnagar University, Gujarat 100 B.H.M.S. 46 Swami Vivekanand Homoeopathic Medical College & Hospital, Near Sports Complex, Sidsar Road, Bhavnagar-364 060. 100 B.H.M.S. 47 2* Smt. Malini Kishore Sanghavi Homoeopathic Medical College at Miyagaon, Tal. Karjan, Dist. Vadodara, Gujarat. Gurajat University Ahemdabad 50 B.H.M.S. 1* University had withdrawn the affiliation for the year 2006-07. 2* Permitted by Central Govt. with effect from 2008-09. 3* Permitted by Central Govt. for M.D. (Hom.) course with effect from 2010-11. 48 J.R. Kissan Homoeopathic Medical College and Hospital, Old Sunderpur Road, Jind Bye Pass, Rohtak. – 124 001 Pt. Bhagwat Dayal Sharma University of Health Sciences, Rohtak Private 50 B.H.M.S. 49 Solan Homoeopathic Medical College & Hospital (Under Health Trust of India), Barog Bye-pass, (Near Shoolini Filling Station), Kumarahatti – 173229, Distt. Solan. Himachal Pradesh University, Shimla-5 Private 75 B.H.M.S. 50 Singhbhum Homoeopathic Medical College and Hospital, Police Station Road, Sakchi, Jamshedpur-831 001. Vinoba Bhave University, Hazaribag 50 B.H.M.S. 51 1* State Homoeopathic Medical College at Gandhigram, Godda, Jharkhand. Govt. 50 B.H.M.S. 52 5* Devki Mahaveer Homoeopathic Medical College and Research Hospital at Farathiya, Garhwa, Jharkhand. Private 50 B.H.M.S. 53 Athurasramam N.S.S. Homoeopathic Medical College, Sachivothamapuram, P.O. Kuricy, Distt.-Kottayam-686532. Kerala Unversity of Health and allied Sciences, Medical College P. O., Thrissur-680596 Private 50 B.H.M.S. 54 Dr. Padiar Memorial Homoeopathic Medical College, Chottanikkara, Ernakulam-682312 50 B.H.M.S. 55 Govt. Homoeopathic Medical College, Irnamuttam, P.O. Manacaud, Thiruvananthapuram Govt 5018 (R) B.H.M.S. 56 6* Shree Vidyadhiraja Homoeopathic Medical College, Nemom, Thiruvananthapuram-695020. Private 50 B.H.M.S. 58 Govt. Homoeopathic Medical College, Dr. Siddaiah Puranik Road, (Near Govt. Medical Stores) Basaveshwaranagar, Bangalore-560 079. Rajiv Gandhi University of Health Sciences, Bangalore Govt 40 B.H.M.S. 59 Bhagwan Buddha Homoeopathic Medical College and Hospital, ‘Srinidhi Complex’ Mallathalli, Bangalore-560 056. Private 75 B.H.M.S. 60 2* Homoeopathic Medical College and Hospital, Medical College Campus, Gulbarga-585 105. 10018 (R) B.H.M.S. 1* Central Govt. granted permission for 2004-05 & 2005-06 to it vide its order dated 14.07.2010. Further Central Govt. allowed to admit the students in I-BHMS Course from the Session 2009-2010 onwards and Vinoba Bhave University, Hazaribag granted affiliation for the session 2009-10. 2* Recognized for admissions in M.D. (Hom.) Course for 1995-97 and from 2001 onwards. 3* The College had been recognized by Central Govt. without any recommendation of CCH. 4* Affiliated from the session 2006-07 onwards by Himachal Pradesh University, Shimla. Before it was with J.R.N.R. Vidyapeeth Deemed University, Udaipur. 75 intake allowed by University. 5* Central Govt. allowed to admit the students in Ist BHMS course from the academic session 2010-11. 6* Central Govt. allowed to admit the students in Ist BHMS course from the academic session 2010-11, subject to condition that the Higher faculties i.e., Professor & Reader shall be employed by the College in accordance to MSE Regulations, 1983 by December, 2010 failing which action will be initiated in term of Section 19 of HCC Act, 1973, i.e., withdrawal of recognition. 64 S.C.S.E. Society’s. Shiv Basav Jyoti Homoeopathic Medical College, R.S. No.43/2A, Plot No.8, Indal Road, Azam Nagar, Belgaum-590010 50 B.H.M.S. 65 * S.B. Shirkoli Homoeopathic Medical College, Anant Vidya Nagar, P.B. No.16, Sankeshwar-591 313, Distt. Belgaum. 50 B.H.M.S. 67 2* Sri Basaveshwar Rural Education and Development Trust Sri Sathya Sai College of Homoeopathic Medical Sciences, Plot No. 19 ‘C’, Industrial Area, Sattur, Dharwad – 580009, Karnataka 50 B.H.M.S. 68 Alva’s Homoeopathic Medical College, Moodbidri, Karnataka 50 B.H.M.S. 69 1* Dhondumama Sathe (D.S.) Homoeopathic Medical College, F.P.No.23, Off Karve Road, Pune-411 004. Maharashtra University of Health Sciences, Nashik Private 1009 (R) B.H.M.S. 71 Lokmanya Medical Foundation’s Homoeopathic Medical College, Near Elpro Company, Behind Auditorium of P.C.M. Chinchwad, Pune-411 033. 100 B.H.M.S. 72 Anantrao Kanse Homoeopathic Medical College Hospital, Alephata, Tal.Junnar, Distt. Pune-412411 50 B.H.M.S. 73 Dr. D.Y. Patil Homoeopathic Medical College, Pimpri, Dist.Pune. 75 B.H.M.S. 1* Central Council recommended to stop fresh admission in M.D. (Hom) Course and to reduce U.G. admission capacity from 100 to 75. Central Govt. directed not to make further admission in both M.D. (Hom) and BHMS Course for the session 2009-2010. The Hon’ble High Court Mumbai stayed the decision of Central Council on 21.07.2009 and directed the Govt. to ensure completion of admissions. 2* This College earlier was recognized as L.E.A’s Homoeo. Med. College, Karnataka, High School, Regal Circle, Dharwad-01. * Central Council recommended to Central Govt. for operating Section 19 of HCC Act and stop admission from 2011-12 in view of decision of Executive Committee in its meeting held on 15.02.2011. 75 Motiwala (National) Homoeopathic Medical College and Hospital, Motiwala Nagar, Gangapur Satpur Link Road, Via Nashik, H.P.O., Nashik-422 001. 100 B.H.M.S. 76 Dhanvantari Homoeopathic Medical College and Hospital & Research Centre, Dhanvantari Campus, Kamatwade, Opp. Abhiyanta Nagar, CIDCO, Nashik-422 008 50 B.H.M.S. 77 M.H.F.’s Homoeopathic Medical College and Hospital, Hahnemann Hill, Pokhariphata, Gunjalwadi, Tal. Sangamner Distt. Ahmednagar-422 605. 100 B.H.M.S. 78 Ahmednagar Homoeopathic Medical College, Savedi Road, Ahmednagar-414 003. 50 B.H.M.S. 79 3* National Medical College of Homoeo. Science (Vamanrao Ithape Homoeopathic Medical College), New Nagar Road, Sangamner, Distt. Ahmednagar-422 605 100 B.H.M.S. 80 Kisan Dnyanoday Mandal’s Homoeopathic Medical College, Nimzari Road, Shirpur Dist. Dhule-425 405. 75 B.H.M.S. 81 Smt. Chandaben Mohanbhai Patel Homoeopathic Medical College, Irla,Natakkar R.G. Gadkari Marg, Vile, Parle (West), Mumbai-400 056. 100 B.H.M.S. 83 Vengurla Homoeopathic Medical College & Hospital, Balasaheb Khardekar Road, Vengurla, Bhatawadi, Dist. Sindhudurg-416 516. 50 B.H.M.S. 84 2* Vidya Vaibhav Shikshan Mandal Dapoli Homoeopathic Medical College, At. Apati, P.O. Talsure, Taluka-Dapoli, Distt. Ratnagiri.-415 712 50 B.H.M.S. 1* Also allowed to start M.D. (Hom) course. 2* It was recognized from CCH for two years w.e.f. from date of affiliation with the University. The Central Council stopped fresh admission in I-BHMS from the session 1997-98. However the admission on provisional basis were done on order of High Court at Mumbai till 1999-2000. CCH granted/recognition from 2000-2001 onwards exist. 85 1* Venutai Yashwantrao Chavan Homoeopathic Medical College, 2968 “C”, Dasara Chowk, Kolhapur 416 Maharashtra University of Health Sciences, Nashik Private 50 B.H.M.S. 86 2* Disha Shikshan-V-Vikas Kendra’s E.B. Gadkari Homoeopathic Medical College, 1830/A/B, Kadgaon Road, Opposite Govt. Rest House, Gadhinglaj, Dist. Kolhapur-416 502. 50 B.H.M.S. 89 Samarth Education Trust’s Sawakar Homoeopathic Medical College, AM-1./1, Additional MIDC, Degaon Road, Satara-415004. 100 B.H.M.S. 90 Gandhi Natha Rangaji Homoeopathic Medical College, 13, Budhawar Peth, Jain Boarding Campus, Balives, Solapur-413 002. 50 B.H.M.S. 91 Pourvi Shikshan Prasarak Mandal’s Mahila Homoeopathic Medical College, Kolgiri Nagar, Hotgi Road, Majrewadi, Solapur-413007. 50 B.H.M.S. 92 Shri Takhatmal, Shrivallabh Homoeopathic Medical College, Homoeo. Sadan, Rajapet, Amravati.-444 606 75 B.H.M.S. 1* Not recognized for admission in I-BHMS Course for 2000-2001 by CCH. Recognition from 2001-02 onwards exist. 2* Not recognized by CCH for 2000-2001 for fresh admissions. CCH given recognition from 2002-03 onwards. 3* Name changed. Earlier recognized upto 2000 with name PECT’s Homoeopathic Medical College, Kolhapur. Central Govt. permitted for M.D. (Hom.) w.e.f. 2010-11. 4* Central Govt. permitted for M.D. (Hom.) w.e.f. 2009-10. 95 Shri Janta Homoeopathic Medical College, Tawer, Jatharpeth Road, Kediya Plot’s Akola-444 005. Maharashtra University of Health Sciences, Nashik Private 50 B.H.M.S. 96 Homoeopathic Medical College, Akot Road, Akola-444001. 50 B.H.M.S. 97 Antarbharti Homoeopathic Medical College (Dabha), Nagpur 440 023. 50 B.H.M.S. 98 Gondia Homoeopathic Medical College and Hospital, Suriyatola, Gondia-441 614. 50 B.H.M.S. 99 Purushottamdas Bagla Homoeopathic Medical College and Hospital, Bagla Nagar, Bagla Chowk, Babupeth Chandrapur-442 403. 50 B.H.M.S. 104 Kisan Shikshan Prasarak Mandal’s Latur Homoeopathic Medical College, Barshi Road, Latur-413 531. 75 B.H.M.S. 1* M.D.(Hom.) Course run under the affiliation to Dr. B.B.A. Marathwada University, Aurangabad till 2001-02 session with Central Council of Homoeopathy recognition. Recognition granted to this College for making admission of students in M.D.(Hom.) Course again from 2003-04 onwards. Central Government permitted two more subjects for M.D. (Hom) Course. 2* Earlier under the affiliation to Dr. B.A. Marathwada University, Aurangabad. 4* Conducted M.D. (Hom) course earlier under Dr. B.A. Marathwada University, Aurangabad. 106 K.E.S.’s Chandrakant Hari Keluskar Homoeopathic Medical College, Alibag, Dist. Raigad-402 201. 50 B.H.M.S. 107 Konkan Education & Medical Trust’s Virar Homoeopathic Medical College, Veer Savarkar Marg, Virar, Tal.Vasai, Dist. Thane-401 303. 75 B.H.M.S. 108 Gulabrao Patil Homoeopathic Medical College, 795, Gulabrao Patil Education Camps, Near Govt. Milk Dairy, Distt. Sangli, Miraj-416 410. 100 B.H.M.S. 109 Shri Chamundamata Homoeopathic Medical College & Hospital, 9, 10, 11 Gayatri Nagar Telephone & Parakh Nagar, Jillha Peth, Jalgaon. 50 B.H.M.S. 111 2* Janseva Mandal’s Sai Homoeopathic Medical College, Dugad Phata, Tal-Bhiwandi, Distt. Thane (M.S.). 50 B.H.M.S. 112 * Guru Mishri Homoeopathic Medical College & Hospital at Shelgaon, Tq. Badnapur, Dist. Jalna-431 202 50 B.H.M.S. 113 4* Baliraja Shikshan Prasarak Mandal’s Padmashri Shyamraoji Kadam Homoeopathic Medical College, Hospital & Research Centre, CIDCO, New Nanded-3. 50 B.H.M.S. 115 Govt. Homoeopathic Medical College and Hospital, MACT HILLS, AYUSH Campus, Beside Kaliasot Dam, Chuna Bhatti, Bhopal-462003 (M.P.) Barkatullah University, Bhopal Govt. 70 B.H.M.S. 116 Hahnemann Homoeopathic Medical College, New Jail Bye-Pass Road, Karond, Bhopal-462 038. Private 100 B.H.M.S. 117 Lal Bahadur Shastri Homoeopathic Medical College, Samarda Kaliasaut, Ratanpur, Mandideep Road, Bhopal – 462047 100 B.H.M.S. 118 H.K.E. Soceity’s Narayan Shree Homoeopathic Medical College, Clinical & Research Centre, Pushpa Nagar, Near Bhopal Railway Station, Bhopal-462 010. 100 B.H.M.S. 1* Affiliated to University of Pune in respect of students admitted till academic session 1995-96, and from 1996-97 it is a Bharati Vidyapeeth University constituent college. Permission for MD(Hom) allowed by Central Govt. 2* Name of the College changed from 2006-07. It was de-recognised in February, 2001. Recognition granted by Central Govt. w.e.f. 2006-07. 3* Earlier affiliated to Mumbai University. 4* In view of order of Hon’ble High Court of Bombay, Bench at Aurangabad in CWP No.7380 of 2010 dated 23.09.2010, status quo maintained by keeping the name of the petitioner College in the list as decided on 12.11.2010, by Excutive Committee. * Permitted by Central Govt. w.e.f. 2008-09. ** Increase of seats in BHMS Course from 40 to 50 and starting of P.G. Course under order of Hon’ble High Court. 119 R.K.D.F. Homoeopathic Medical College and Hospital, Research Centre, Mile Stone 12, Hoshangabad Road, Bhopal. 100 B.H.M.S. 120 Shivang Homoeopathic Medical College and Hospital, Bairagarh Chichi, Nayapura, Kolar Road, Bhopal-462042. 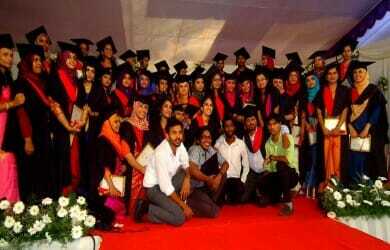 Barkatullah University, Bhopal 100 B.H.M.S. 122 # Rajiv Gandhi Homoeopathic Medical College, Hospital and Research Centre Toll Tax Barrier, Khandwa Road, (Umrikheda), Indore. ( The Degree awarded through this College will not be recognized to the students who may pass out from the same college beyond 1st day of April, 2016 onwards) Devi Ahilya Bai University, Indore 100 B.H.M.S. 123 Shri Gujarati Samaj Shrimati Kamlaben Raoji Bhai Patel Gujarati Homoeopathic Medical College, Hospital & Research Centre, Sch.No.54, A.B. Road, Indore (M.P. )- 452 010 100 B.H.M.S. 124 Indira Gandhi Memorial Homoeopathic Medical College, 131, Prakash Nagar, Dhar (M.P.) 100 B.H.M.S. 125 Sendhwa Homoeopathic Medical College & Hospital, Dist. Barwani, Sendhwa (M.P.) – 451 666 100 B.H.M.S. 126 Arihant Homoeopathic Medical College at Sendhwa Distt. Barbani, MP 50 B.H.M.S. 127 Vasundhra Raje Homoeopathic Medical College and Hospital, Mahadji Nagar, Shivpuri, Link Road, Gwalior-474 001. Jiwaji University, Gwalior Private 100 B.H.M.S. 128 Shri Ramnath Singh Siksha Prasar Samiti Homoeopathic Medical College, Gormi, Bhind. 85 B.H.M.S. 129 Sophia Homoeopathic Medical College (Swastik Educational & Social Welfare Society’s), Mahal Gaon, Opp. R.I. Training Institute, City Centre, Gwalior. Pin-474 002. 100 B.H.M.S. 130 Swami Pranavanand Homoeopathic Medical College and Hospital, Near Police Line Road, Chhatarpur (M.P.)-471001. Dr. Hari Singh Gaur Vishwavidyalaya, Sagar 50 B.H.M.S. 131 Sagar Homoeopathic Medical College & Hospital Research Centre, Namak Mandi, Sagar-470 002 50 B.H.M.S. 132 Mahatma Gandhi Homoeopathic Medical College & Hospital, Neemkheda, Gour Tiraha, (Mandla Road) Opp. Marble Rock School, Jabalpur-482 001(M.P.) Rani Durgawati Vishwavidyala, Jabalpur 100 B.H.M.S. 133 * Smt. S.M. Deo Homoeopathic Medical College & Hospital, Dev Nagari Khursodi, Gondia Road, Balaghat –481 001. 50 B.H.M.S. 134 Anushree Homoeopathic Medical College,112, Near Samdariya, Green City , Kashodhan Nagar, Madhotal, Jabalpur (M.P. )-482 002 100 B.H.M.S. 136 Cuttack Homoeopathic Medical College, Naya Bazar Cuttack. Utkal University, Bhubaneswar 40 B.H.M.S. 137 1* Biju Pattnaik Homoeopathic Medical College,Berhampur-760 001 (Ganjam.). Berhampur University, Berhampur Govt. 25 B.H.M.S. # Central Govt. vide its letter No.R-13040/31/2011-HD(Tech) dated 08.06.2011 stopped the admission in Ist BHMS Degree Course for the year 2011-12. * Central Council recommended to Central Govt. for operating provisions section 19 of HCC Act 1973 in view of decision of Executive Committee in its meeting held on 12.11.2010. 138 2* Orissa Medical College of Homoeopathy & Research, Sambalpur-768 001. Sambalpur University, Burla 25 B.H.M.S. 139 Utkalmani Homoeopathic Medical College & Hospital, Naya Bazar, Rourkela-769010 25 B.H.M.S. 140 3* Mayurbhanj Homoeopathic Medical College and Hospital, At & P.O. Baripada, Distt. Mayurbhanj-757029 North Orissa University, Baripada Private 30 B.H.M.S. 141 4* Homoeopathic Medical College, Hanumangarh Road (Near Bye Pass), Abohar-152 116. Guru Ravidas Ayurved University, Hoshiarpur Private 70 B.H.M.S. 142 4* Lord Mahavira Homoeopathic Medical College, Opp. Kitchlu Nagar, Near Civil Lines, Ludhiana-141 001 50 B.H.M.S. 144 4* Kalyan Homoeopathic Medical College, Jandiala Road, Tarn Taran-143401, Amritsar. 50 B.H.M.S. 145 6* Yuvraj Pratap Singh Memorial Homoeopathic Medical College, Shivaji Park, Alwar.- 301 001 Dr. Servpalli Radhakrishnan Rajasthan Ayurved University, Jodhpur 75 B.H.M.S. 146 7* Swasthya Kalyan Homoeopathic Medical College & Research Centre, Jai Villa, Narain Singh Road, Near Trimurti Circle, Jaipur-302004 100 B.H.M.S. 147 Mangilal Nirban Homoeopathic Medical College and Research Institute, M.N.S. Hospital & Research Center, Bikaner-334001 Dr. Servpalli Radhakrishnan Rajasthan Ayurved University, Jodhpur Private 75 B.H.M.S. 1* Earlier named as Cooperative Homoeopathic Medical College, Berhampur. It is not recognized for the session 2001-2002. 2* Admission of I-BHMS Course not allowed from 1995-96 to 1997-98 sessions but allowed from the session 1998-99 to 1999-2000, & Ex-post-facto permission for year 2000-2001 & 2001-2002 and for 2004-2005 and onwards granted by the Central Govt. vide its letter dated 3.9.2004. 3* Had been affiliated with Utkal University, Bhubaneswar till session 1998-99 for admission in I-BHMS Degree Course. 4* Before it conducted DHMS Course, and than BHMS under affiliation to Council of Homoeopathic System of Medicine, Punjab and then affiliated to Baba Farid University of Health Sciences, Faridkot. 5* Before it conducted DHMS & BHMS Course under Council of Homoeopathic System of Medicine, Punjab. From 2001-2002 session its affiliation to Baba Farid University of Medical Sciences, Faridkot. Also allowed to conduct M.D.(Hom.) Course in three subjects. 6* Affiliated earlier to Rajasthan University, Jaipur. 7* Earlier has been under IASE University, Sardashihr, Distt. Chru (Rajasthan). 148 1* Sri Ganganagar Homoeopathic Medical College, Hanumangarh Road, Sriganganagar-335002 50 B.H.M.S. 149 2* Bhartiya Homoeopathic Medical College and Hospital, B-Narayan Gate, Bharatpur-321 001 75 B.H.M.S. 150 Rajasthan Vidyapeeth Homoeopathic Medical College, Vidyapeeth Campus, Dabok-313 002. 75 B.H.M.S. 151 3* Dr. Madan Pratap Khuteta Rajasthan Homoeopathic Medical College, Opp. Sindhi Camp Bus Stand, Station Road, Jaipur-302 006. 10018 (R) B.H.M.S. 152. 8* Under Faculty of Homoeopathic Sciences, Jayoti Vidyapeeth Women’s University, Vedaant Gyan Valley, Jharna, Mahala Jobber Link Road, Jaipur- Ajmer Express Way , NH-8, Jaipur-303007( Rajasthan) Jayoti Vidyapeeth Women’s University, Jaipur, Private 60 B.H.M.S. 153 5* Govt. Homoeopathic Medical College and Hospital, At. Thirumangalam, Dist. Madurai – 626 706. Tamil Nadu The Tamilnadu Dr.M.G.R. 154 7* White Memorial Homoeopathic Medical College, Attoor, Veeyanoor-629 177.Dist. Kanyakumari. Private 50 B.H.M.S. 155 Venkateswara Homoeopathic Medical College and Hospital No. 4/11, Samayapuram Main Road, Karambakkam, Porur, Chennai-600 116. 100 B.H.M.S. 157 R.V.S. Medical Trust Homoeopathic Medical College, 242 B, Trichy Road, Sulur, Coimbatore Distt.-641 402 50 B.H.M.S. 158 6* Martin Homoeopathic Medical College & Hospital, D.P.F. Mill Premises, G.N. Mills (P.O. ), Mettupalayam Road, Coimbatore-641 029. (Earstwhile Nethra Homoeopathic Medical College & Hospital ) 50 B.H.M.S. 159 Sri Sairam Homoeopathic Medical College and Research Centre, (Sapthagiri Education Trust), Sai Leo Nagar Tambaram West Chennai-600044 Tamil Nadu. The Tamilnadu Dr.M.G.R. 1* Central Govt. granted recognition from 2004-05 without recommendation of CCH. 2* In Compliance to interim order of Hon’ble High Court Rajasthan, Jaipur in C.W.P. No. 12362 of 2010 dated 21.10.2010 the name of this college is restored in the list of recognized H.M.C. till the case is finally decided by the Hon’ble High Court of Rajasthan in view of decision of Executive Committee meeting held on 15.02.2011. 3* The above named College had been affiliated to Rajasthan University Jaipur and then with Rajasthan Ayurved University, Jodhpur. The above named college have made 100 U.G. admissions (B.H.M.S.) in the month of July, 2010 and P.G. Admission (M.D. Hom.) in the month of September 2010 under homoeopathy University Jaipur. 4* Permitted by Central Govt. for M.D.(Hom.) courses with effect from 2010-11. 5* Central Govt. vide its order No.R-14014/6/2009-EP dated 08.07.2011 has not allowed admissions during the year 2011-12. 7* The Hon’ble High Court of Madras Bench at Madurai in W.P. (MD)No.14760/2012 and M.P. ( MD) Nos. 2 and 3 of 2012 Set aside the impugned proceedings of Union of India and Tamil Nadu MGR University regarding reducing of intake capacity from 100 to 50 seats, vide its judgment date 19-9-13. The Government of India Minsitry of Health and Family Welfare Department of AYUSH vide letter dated January,1, 2014 observed that the College had admittted 83 students in 2012-13 and 100 students in 2013-14 which beyond the approved intake of 50 students and it is clear violation of stipulated provisions of 12 A of HCC Act,1973. 8* Ministry vide its letter No. R.12014/01/2013 dated 16/6/2014 permited to start BHMS Course with the intake capacity of 60 seats from 2014-15 under Faculty of Homoeopathic Sciences of concerned University. 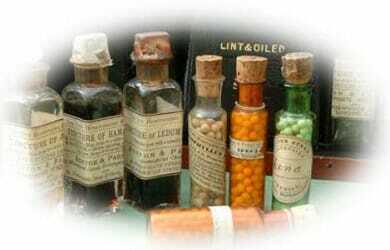 160 7* Dr. Hahnemann Homoeopathy Medical College, & Research Centre. Koneripatti, Rasipuram, Namakkal Dist-637408. 100 B.H.M.S. 161 4* Sivaraj Homoeopathic Medical College & Research Institute, Siddhar Kovil Road, Thumbathulipatty, Perumampathy (P.O. ), Salem-636 307 Tamilnadu. (Earstwhile Tamil Nadu Homoeopathic Medical College & Research Institute) 50 B.H.M.S. 163 2* State National Homoeopathic Medical College and Hospital, 1, Viraj Khand, Gomati Nagar, Lucknow 226 001. Dr. Bhim Rao Ambedkar University, Agra Govt. 50 B.H.M.S. 164 Pt. Jawaharlal Nehru State Homoeopathic Medical College and Hospital, Block A/1, Scheme-38, Lakhanpur, Kalyanpur, Kanpur- 208024 50 B.H.M.S. 165 State Lal Bahadur Shastri Homoeopathic Medical College and Hospital, Phaphamau, Allahabad-02. 50 B.H.M.S. 166 2* State Dr. Brij Kishore Homoeopathic Medical College and Hospital, Deokali, Faizabad-224001 30 B.H.M.S. 167 2* State K.G.K. Homoeopathic Medical College and Hospital, Rly. Line Par, Moradabad-244 001. 40 B.H.M.S. 168 State Ghazipur Homoeopathic Medical College and Hospital, Rauza, Ghazipur. 50 B.H.M.S. 169 State Shri Durgaji Homoeopathic Medical College and Hospital, Chandeshwar, Dist. Azamgarh-276 001. 30 B.H.M.S. 170 3* Bakson Homoeopathic Medical College, B-36, Knowledge Park, Phase-I, Greater NOIDA, (Dist. Gautam Budha Nagar, U.P- 201 306 Private 10042 (R) B.H.M.S. 171 Sri Sai Nath P.G. Institute of Homoeopathy, 109/4, Jawaharlal Nehru Road, George Town, Allahabad-211002(U.P.). 36 (R) B.H.M.S. 173 5* Chandola Homoeopathic Medical College & Hospital, Kichcha Road, Ruderpur, P.O. Lalpur, Dist. Udhamsingh Nagar. Nainital. Kuman University, Nainital (U.A.) 50 B.H.M.S. 1* It was affiliated to MGR Medical University till 8th June, 2001. Allowed for M.D. (Hom) Course too. 2* State H.M.C., Bijnore; State Mohan H.M.C. Lucknow; State Tilak Dhari H.M.C., Jaunpur have been merged in the colleges at Moradabad, Lucknow and Allahabad respectively. Seats intake as per state Govt. orders. 3* Also Allowed to conduct of M.D. (Hom) Courses. Earlier under Rajasthna Vidyapeeth Deemed University, Udaypur. Affiliated earlier to Guru Govind Singh Indraprastha University, Delhi from 2003-04 to 2005-06 for BHMS Course, and from 2006-07 onwards it switched over to Dr. Bhim Rao Ambedkar University, Agra. 4* Earlier College was named as Tamilnadu Homoeopathic Medical College, Salem. 5* Central Govt. allowed with effect from 2010-11. 6* Matter concerning W.P. No.34/2011 is pending in Hon’ble High Court of Uttarakhand at Nanital. 7* Hon’ble High Court of in the matter W.P.12662/2013 passed dated 23-7-2013 allowed the intake capacity of 100. 174 3* The Calcutta Homoeopathic Medical College and Hospital, 265/66, Acharya Prafulla Chandra Road, Kolkata-700 009. The West Bengal University of Health Sciences, Kolkata Govt. 50 B.H.M.S. 176 Midnapore Homoeopathic Medical College and Hospital, P.O. and Dist. Midnapore-721 104. 50 B.H.M.S. 177 3* Mahesh Bhattacharya Homoeopathic Medical College and Hospital, H.I.T. Road, Ichapur, Doomurjala Howrah-4. 506 (R) B.H.M.S. 179 3* P.C. (Pratap Chandra) Memorial Homoeopathic Medical College and Hospital, 14/1, Narkeldanga, North Road, Kolkata-700 001 Private 50 B.H.M.S. 180 3* Metropolitan Homoeopathic Medical College and Hospital, Ram Chandrapur, Sodepur, Kolkata-700 110. 50 B.H.M.S. 181 3* Netai Charan Chakravarty Homoeopathic Medical College and Hospital, 45, ‘F’ Road, Belgachia, Howrah-711 101 75 B.H.M.S. 182 4* Bengal Homoeopathic Medical College and Hospital, Ismile, P.O. Asansol-713 301, Dist. Burdwan. 50 B.H.M.S. 183 4* Burdwan Homoeopathic Medical College and Hospital, Nimbarak Bhavan Raj Ganj P.O. Nutanganj, Distt. Burdwan-713 102 50 B.H.M.S. 184 4* Kharagpur Homoeopathic Medical College and Hospital, At Kaushallya, P.O. Kharagpur-721 301. Distt. Midnapore 60 B.H.M.S. 1* Central Govt. increased total 33 seats in BHMS Course- 23 seats from the session 2009-10 and 10 seats from the session 2010-11 and total 9 seats in 3 M.D. (Hom) courses namely Materia Medica Homoeo Philosophy and Refertory (3 seats in each P.G. courses) from the session 2010-2011. 2* Allowed for starting Graded Degree Course from 2002-2003. (admission made upto 2005-2006 by the College in Graded Degree Course). 3* Earlier affiliated to Calcutta University. 4* Earlier affiliated to Burdwan University. 185 4* Birbhum Vivekanand Homoeopathic Medical College and Hospital, P.O. Sainthia, Distt. Birbhum-731234 60 B.H.M.S. I have passed DHMS in 1999 now i study BHMS its possible. Give feedback.